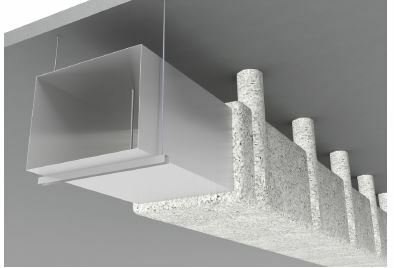 The duct is composed of sections with a maximum length of 1400 mm. These elements are joined with flanges attached together with M8 nuts and bolts on the edges and anchor bolts spaced 350 mm apart around the duct. The section joints are sealed using an A1 acrylic sealant. The duct body is supported with 1200 mm spacing (see diagram 1). 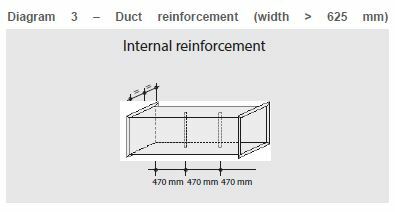 For 625 mm duct widths, reinforcement is not necessary. 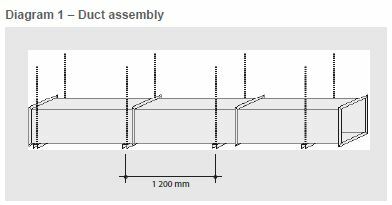 – External bracings composed of U-shaped 25 x 50 x 25 mm profiles positioned at mid-length of the sections (max. 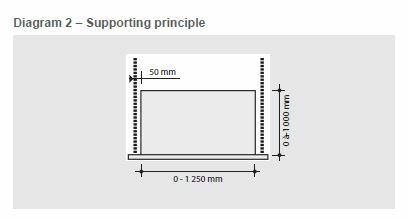 700 mm between bracings or flanges) and attached to the perimeter of the duct using 35 mm self-tapping screws spaced 225 mm apart.